SRINAGAR: Five soldiers and two gunmen were killed when militants stormed a CPRF camp in a pre-dawn strike in south Kashmir on Sunday, an official said, capping off a year in which security forces upped the offensive but also suffered losses in the border state. 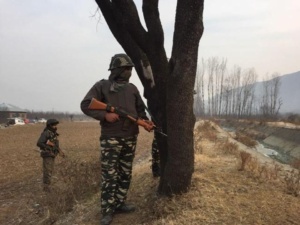 Three Central Reserve Police Force men were injured in the Pulwama attack claimed by Pakistan-based Jaish-e-Mohammed, whose top leader was gunned down in the district on December 26. The soldiers were in hospital but stable. “Two militants have been killed. Search is on for the third militant. Operation is still on,’’ CRPF inspector-general Ravideep Sahi said. At least three heavily armed militants hurled grenades and entered the 185th battalion camp of the CRPF in Lethpora at around 2am, sources said. The personnel on sentry duty returned fire, and a gun battle broke out, sources said. The militants made a dash for block three, which housed a day clinic and a control room, of the main building complex and kept firing. While Block 2 had offices, Block 1 was a residential accommodation and all its 15-20 occupants were evacuated, sources said. Three personnel were hit in the first few minutes of the militants entering the camp situated along the strategic Jammu-Srinagar highway, which connects the Kashmir Valley with the rest of India. While three died of bullet wounds, a fourth had a cardiac arrest, sources said. A fifth jawan was killed late in the afternoon when forces went to retrieve the body of a militant. As soon as they entered the building, they were fired upon, sources said. 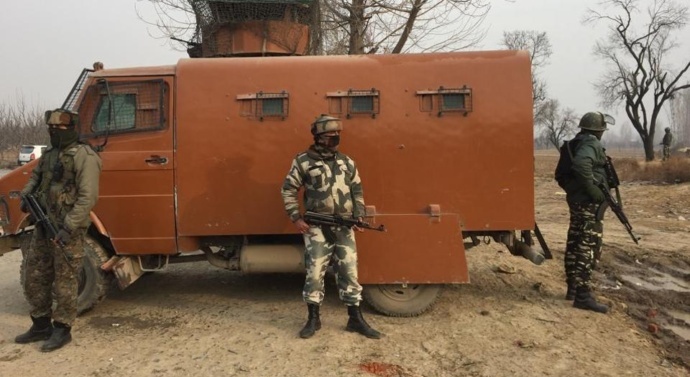 The CRPF identified the dead as inspector Kuldip Roy from Hamirpur in Himachal, head constable Taufail Ahmed from J&K’s Rajouri and constables Saif-u-Din Ganie from Budgam in Kashmir, Rajendra from Churu in Rajasthan and constable PK Panda from Odisha’s Sundargarh. Camp officials, said police sources, were given specific inputs about a possible strike. CRPF’s Sahi said there were intelligence inputs about attacks on “security installations”. The Lethpora camp also serves as a training facility for counter-militancy operations. Both the militants killed were Kashmiris and were identified as Manzoor Ahmad Baba and Fardeen Ahmad Khanday. It was rare for locals to be involved in what security sources described as a suicide mission. Such fidayeen attacks are normally carried out by foreign militants, several of whom are active in the Valley. The attack follows a string of high-profile counter-insurgency operations that have dealt blows to Jaish, Laskhar-e-Taiba, another Pakistan-based group, and the home-grown Hizbul Mujahideen. Noor Mohammad Tantray, a top Jaish commander, who masterminded several attacks on security forces, was killed in Pulwama on December 26. Around 206 militants, 75 security men and 24 civilians have died in Kashmir violence, making 2017 the deadliest year in a decade. Sunday’s early-morning strike follows a pattern. Eight security personnel died after militants stormed a district police complex in Pulwama in August. A soldier was killed in another pre-dawn raid the same month when militants targeted a Border Security Force camp near the Srinagar airport.